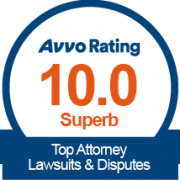 When they came to us, our clients were dissatisfied with the high fees and poor results from a large Washington law firm. They had been sued by a trustee, who was president of a large Philippine bank, Banco Filipino, over some business investments our clients had made. The bank president wanted to take the investments from our clients. Before they came to us, our clients had lost their case in federal district court in Seattle when a judgment was entered against them for $7 million. 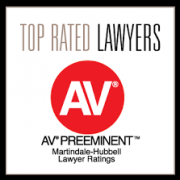 We reviewed the case and concluded that our clients did not deserve to lose. We were hired to repair the damage. We appealed the decision to the Ninth Circuit Court of Appeals, argued the case, and prevailed. We won a reversal of the trial court’s decision, which was the first time that this highly respected federal judge had ever been reversed in a civil case. The Ninth Circuit granted our clients the right to a trial. We then prepared and tried the case to a jury in federal court in Seattle. We won our clients a complete victory. The jury decided that our clients had done nothing wrong. A judgment was entered in favor of our clients, including a reimbursement of all of their costs. They came to us with a devastating $ 7 million judgment against them, and when we were finished the person with the judgment now owed our clients! Our clients, who remain grateful to this day, have asked to remain anonymous. We represented a sophisticated, high net worth individual who had a lifelong history of making high risk investments on his own. However, when he was in his 70s and battling cancer, he hired a financial advisory firm to manage his investment portfolio in a more conservative manner, knowing that his remaining time was limited, and that he needed to conserve his estate for his family. Despite our client’s poor health and request for conservative investments, his portfolio lost more than $3 million in relatively short order under the control of the advisor. The case was challenging because of our client’s high level of sophistication, wealth, and investment history, but a three attorney arbitration panel unanimously decided after a full evidentiary hearing that the investment advisors bore full responsibility for the losses. 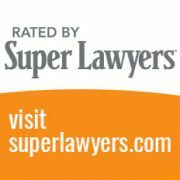 They awarded our client more than $3 million. Our clients were a group of investors who had lost more than $1 million to a boiler room brokerage firm on Long Island in New York. The brokerage firm was about to go out of business when we accepted the case, and our challenge was to convince a FINRA arbitration panel that the clearing broker, Fiserv, was responsible for the losses even though our clients had no advisors at Fiserv. Our theory was that Fiserv ignored many red flags warning that the boiler room firm was a criminal operation and that Fiserv participated in the fraud by agreeing to work with the boiler room to clear the trades. In a truly landmark arbitration award, the FINRA arbitrators wrote more than 29 pages, saying that they had never seen a case tried so thoroughly. The FINRA panel awarded our clients all of their losses, interest and attorney fees. The case was reported on page 1 of the Sunday New York Times Business Section and several other publications. The case was appealed twice, and the State of Washington and the North American Securities Administrators Association (NASAA) filed briefs in support of our theory and victory. We won both appeals. See Koruga v. Fiserv Correspondent Services, Inc., 183 F. Supp.2d 1245 (D.Or. 2001), 2002 U.S. App. LEXIS 6439 (9th Cir. 2002). Our case went a long way toward making clearing brokers accountable when they knowingly assist a criminal boiler room operation. Wood River was a fraudulent hedge fund that was responsible for investor losses of more than $200 million suffered by individual investors and institutions around the country. 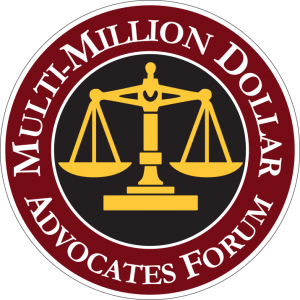 We represented a single investor who had lost $2 million. The hedge fund and its president were insolvent,. Our client sued the New York law firm that had prepared the registration documents for the hedge fund used to sell the investment. We sued, first in Idaho state court in Sun Valley, and later in federal district court in New York City. When the New York firm moved to dismiss our case in federal court, the court issued a landmark decision in our favor, Houston v. Seward & Kissel, LLP, 2008 U.S. Dist. LEXIS 23914 (March 27, 2008). The case was reported on Page 1 of the New York Law Journal. After that decision, our client settled and recovered a greater percentage of his losses than any of the scores of other investor victims. We represented a real estate developer in a complicated legal malpractice case against a, well- respected Northwest law firm. Our client had lost millions after investments that he had sold and managed failed investments during the real estate crash in Las Vegas in 2008. The law firm had prepared the investment documents—private placement memoranda — and based on mistakes in the drafting of the documents, our client was sued by the lender and his investors. We vindicated our client. After a two week jury trial, he was awarded a judgment of approximately $7 million, and we successfully defended the appeal of the verdict. We represented a group of physicians in Japan who had made bad investments in the United States. Through another law firm, they sued to recover their investments. They lost the case on a legal technicality, and in a rare move (and probably because our clients were foreigners) the defendants countersued the investors. After several lengthy middle of the night conference calls with an interpreter and our clients in Japan, we gathered the information we needed to file a motion to dismiss the case against them. We prevailed. The case was dismissed with prejudice and our clients avoided an expensive and lengthy court battle. Unto Infinity, Inc. v. Schwabe Willimason & Wyatt, P.C. We represented a non-profit religious corporation that had lost its multi-million international tea and cereal business after a lawyer assisted certain individuals to secretly purchase the highly profitable business at a small fraction of its actual value by structuring a complex transaction that was never fully explained to our clients. We sued the law firm that structured the unfair transaction. The case was settled and our clients received $10 million in the settlement in 2014. We represented a group of 16 clients, all of whom had purchased investments in one of two private limited partnership real estate transactions. The total losses were more than $1.7 million. We filed the case in Circuit Court in Portland, Oregon. We sued the real estate developer who ran the partnerships, and the New York law firm that prepared the confidential private placement memoranda that were used to sell the investments. After more than 15 depositions and countless motions filed against our case, we ultimately settled the case for an amount that our clients agreed to accept and that the defendants require us to keep as confidential. Two years after the end of that case, we still receive emails from those clients thanking us for our efforts. We represented an AT&T employee who was given an option to take early retirement. She was advised by a financial adviser to take early retirement, sell her AT&T sponsored 401k investments, and purchase non-traded REITS and variable annuities, which we felt were grossly unsuitable. The case was settled before hearing. The significant aspect of the case was that the advisor then filed a motion to expunge (erase) any record of the claim we had filed. Expungements are not supposed to be granted unless the claim was without merit. Our client agreed with us that we should oppose the expungement motion, which we did on a pro bono basis. At the hearing, the FINRA arbitration panel refused to allow Mr. Banks to cross-examine the broker after she testified, and refused to allow him to call his client to testify. The arbitration panel nonetheless granted the expungement, saying, falsely, that the parties had an opportunity to present their cases. The denial of due process in this case resulted in a featured article in the New York Times on September 26, 2014. FINRA agreed with us that the expungement hearing was improperly conducted, and sent an announcement to all FINRA arbitrators instructing them to allow an investor’s lawyer to examine and cross-examine witnesses in an expungement hearing. That case is now on appeal in Los Angeles Superior Court, and FINRA has joined our client’s request that the expungement award be set aside. We represented a real estate developer in a legal malpractice case against an excellent, well- respected regional law firm. Our client had lost millions after investments that he had sold and managed failed during the real estate downturn in 2008. The law firm had prepared the investment documents, and based on mistakes in the drafting of the documents, our client was sued by the lender and his investors. We vindicated our client. After a two week jury trial, he was awarded a multi-million judgment, and we successfully defended the appeal of the verdict. No investor should rely on this communication to fully inform them of their rights on a complex legal matter. Your claims and defenses will depend on individual circumstances. This document provides background on legal controversies to those investors without legal counsel. If you have suffered a substantial investment loss, it is critical that you speak with an attorney who focuses on investor rights. Compare lawyers carefully by evaluating their credentials and experience in securities litigation and arbitration. Review their results, and talk with them to assure a good fit. We encourage you to call our office to speak with Bob directly so you might best understand your options for recovery. You may also Contact Us via email or our contact form. We welcome your call.